Natural disasters occur with relative frequency in certain areas like the eastern coastal and inland regions in the United States, Japan, the Oceanic islands like Thailand, Malaysia, etc. The chances that some hurricane, tornado, tsunami, earthquake, flash flood, etc. to happen depend on the area where you live in. Some areas though may not be that prone to natural disasters and people suffer much more if something unexpected happens – they are simply not prepared. So, we still advise you to prepare yourself, even if chances are low for such a natural phenomena to hit your area. You shouldn’t leave your life to the chances and hopes that nothing is going to happen (as most people believe). 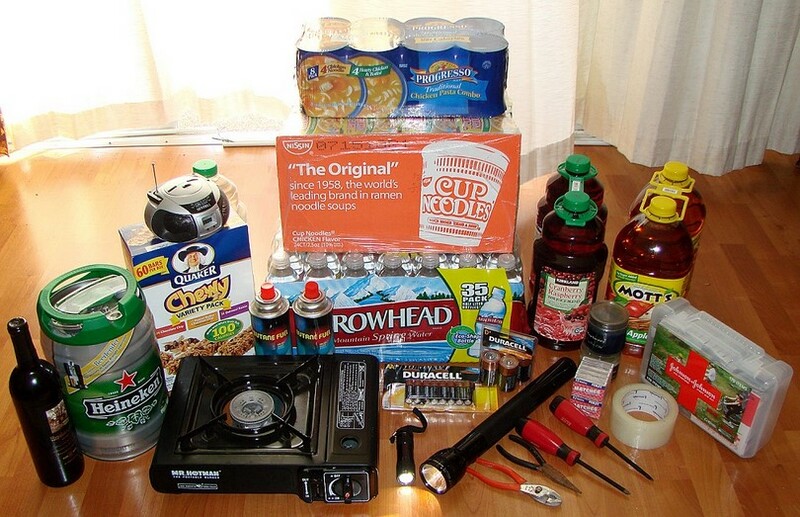 And after all, a disaster preparedness kit doesn’t cost much, and you can assemble it yourself. You should update some products once a year and keep it close at hand. Besides, your family and children, and your life should be your top priority. 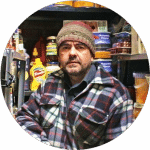 Most of the items we’ll include in this kit are of basic importance and you should already have them at home (or can buy from the local store or pharmacy). In this category you should prepare warm clothes, jackets and pants. Don’t forget about the shoes as well. Ideally they should be sturdy waterproof boots. Along with them a few pairs of warm thick pairs of socks would be great. Also, to protect you from rain and moisture, a rain coat or poncho should be prepared for each member of your family. Don’t forget also hats and gloves. We also advise you to prepare some thermal underwear, since it’s manufactured to be light-weight and keep the body warm. Besides clothing and boots, you should prepare warm blankets (ideally one per family member). If you like, you can substitute those for warm sleeping bags. After all sleeping bags are manufactured to keep the body warmth much better, and you can also sleep in them of course. To begin with, always prepare extra batteries for all your tools you would use – flashlight, emergency radio and cell phones. These three are very important when it comes to your connection to the world and your chances of being found and rescued. In this regards, we also recommend that you get acquainted with using a map and a compass together. Also, for the map – have a map of the area where you’re living, and make sure you study the map and the area. For those of you who don’t have the skills of reading a map using a compass, it can be learned easily from this comprehensive tutorial. Ideally, practice some survival skills by exploring the area using the map and compass and do some 1-2 days of camping in the area. This will get you more used to it and you’ll feel much better prepared (both physically and psychologically). On another occasion do that together with your family. 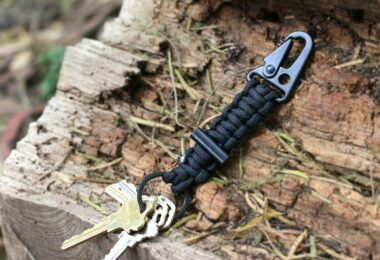 To be rescued, the flashlight can be a great tool, but you should also prepare a whistle. Sometimes an audible sound can attract as much attention as lighting signal. You better have both, and to learn more about how to chose them, read our wide collection of reviews for emergency whistles and survival flashlights. Prepare also a tent (depending on how large your family is) and find a tent that has extra space. Feeling cramped in a critical situation is much more stressful. Don’t forget some kitchen tools, like plates, utensils and cups. It would be best if they are plastic or paper items, since they weigh insignificantly little. Also, if you prepare some canned food (which we advise you to and will get to that as well), you should prepare a can opener. Pick one that is very easy to use. Best get a non-electric one, or you would need batteries for it too. As for a knife, get one for eating and one pocket knife. They both have different uses. Prepare some pliers, tape, scissors, aluminum foil, some paper and pen (or pencil). The aluminum foil can be used for cooking on fire. There are thousands of recipes on the internet made entirely with foil which wraps the meal. The pen and paper can be used to write something down, some note or sketch. The first three in this list can be used in various situations like repairing something broken using the tape and pliers. 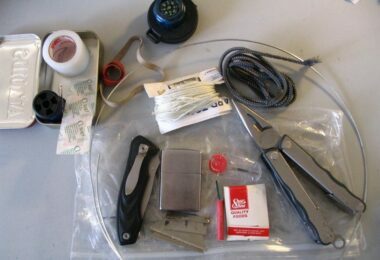 In your kit you should also have some plastic containers or bags. They should take little space in the kit. 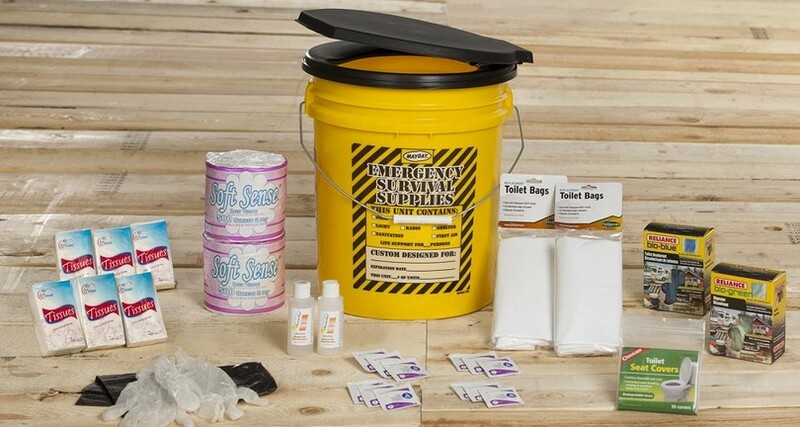 This one may seem like it is an entirely different kit, but actually, no disaster survival kit should be left without a first aid kit. Some items for the first-aid kit must be bandages, band-aids, thin thread and needles, painkillers and other appropriate medicines (also, prescribed medicine for any of your family members). You first-aid kit should also contain gauze and abdominal pads, plastic strips, sanitary tissues and antiseptic ointment. These are some of the most important items. 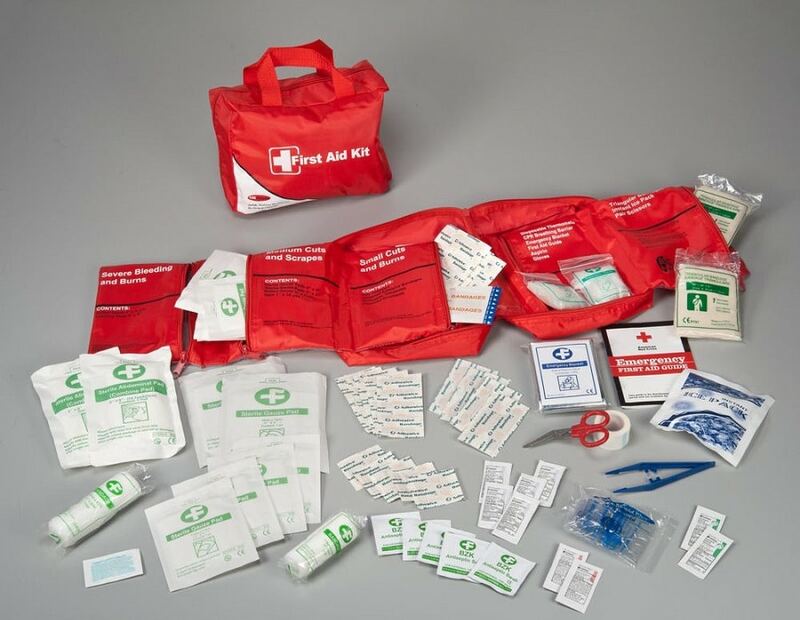 For more details, look for specific products like the AAA 85 Piece Commuter First Aid Kit. You can find more great product like this one in our best first aid kit reviews. This is a very important category. If you don’t have the important items here, you may risk diseases like dysentery and other such illnesses caused by low hygiene. So, you need all types of toiletries, toilet paper and towelettes. These will keep you clean and your hygiene and health won’t be compromised. Prepare at least a 3-day supply of these, depending on how large your family is. Prepare some soap or liquid soap/detergent. Hard soap is better to be kept in a soap box to keep it clean and away from impurities and dirt. Don’t forget to prepare any feminine supplies, including plastic bags where to keep the used supplies. Keep these plastic bags only for garbage. Also, use some ties or cords to tie the bags. The smell and bacteria gathering and multiplying in the bag may be dangerous for anyone who has contact with the contents. You may have to prepare some plastic buckets with tight lids. These will be useful if you’re stuck in your house/home during a several-day hurricane and you have to remain in your home for days. These buckets can also be used for garbage disposal bins. Keep some disinfectant in your preparedness kit. Keeping your home or place, where you are located during the disaster, is as crucial for your health. Another option for a disinfectant is to have some chlorine bleach. It can also be used for purifying water if the cleanliness of the water supply is compromised. Get some toothpaste, toothbrushes and even mouth water for good mouth hygiene. Any other sanitary items and supplies should be added to your list. 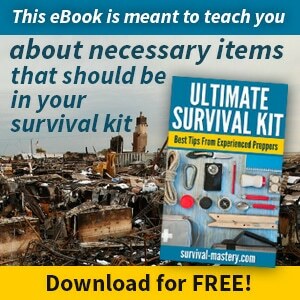 This category may be the bulk of half of your survival kit. You need to prepare water for each family member, and at least 1-2 liters a day per person. 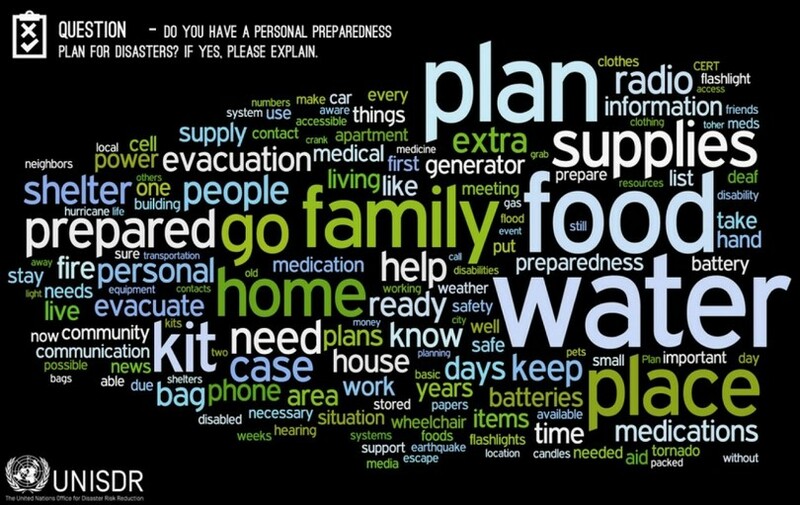 Don’t forget that if your water supply (during the disaster) is cut and you have no access to any water, you must plan your preparedness kit accordingly. Every person in your family should have access to 1-2 liters for sanitation and sticking to their hygienic habits. Plan also 1-2 liters of water per day for cooking (if you would like to eat warm meals). If you don’t plan on cooking you may have to still prepare some additional liters of water for any meals requiring liquid (e.g. dry food). Also, if you have access to water (river, lake, etc.) you should be prepared to purify it. There are some very quick methods for purifying water and most are in the form of tablets (iodine- and chlorine-based). If you are not familiarized with how water purification tablets work, take a look at our in-depth article on this topic where you can also find some good options to buy. You may also want to have a filtering system as they get rid of any particles and dirt present in the water that can’t be removed by purifying tablets alone. One of the best choices for this is the LifeStraw personal water filter which you can read more about it in our detailed review. This is another bulky category although maybe not as much as the water category! 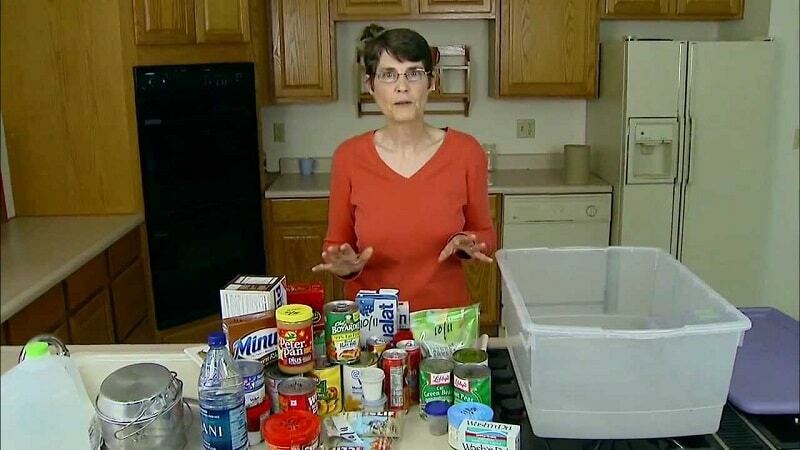 Get as much canned food as you would eat for 3 days. Store different types of food so you don’t get tired of only one taste. Store beans, tomatoes, potatoes, vegetables, canned fruits, etc. 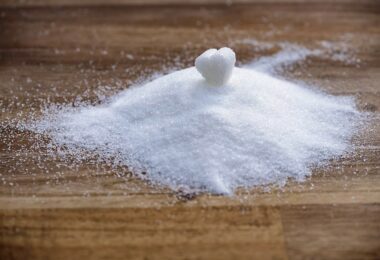 Have different tastes in your entire food supply – salty, sweet, spicy and sour (as the most common). Prepare some dry food as well. The more dry food you store, the more water you would need to prepare the meal. There are lots of dry food products on the market, and also lots of recipes on how to make your own dehydrated food at home. For the DIY method you need a food dehydrator and we have a great set of reviews on the best 10 on the market for you to choose from. 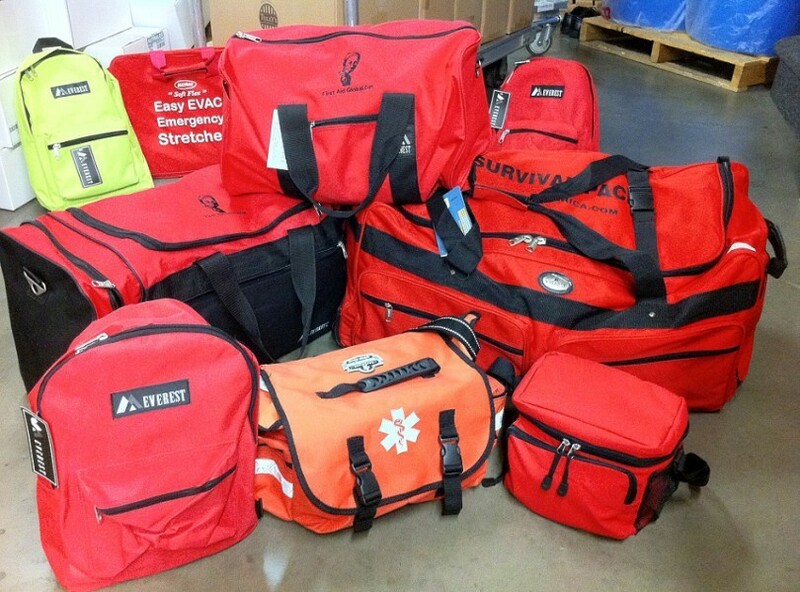 Otherwise, commercial products will also cover your needs for several days during a disaster event. Don’t forget the high-energy bars, protein mixes, granola bars and such similar products. They give plenty of energy for small amount of food, and are also very light and you can store loads of these without that impacting the total weight or room of your kit in any way. Such protein bars can be eaten quickly and they energize you in minutes. They provide proteins, carbohydrates and fat, which are the three main ingredients vital for the proper functions of the body. You are also highly advised to store some vitamins and food supplements, since you’ll lack fresh food for days and this means fewer vitamins from fresh supply. You may also stack on fruit juices for vitamins. Dried fruits also keep some of the vitamins intact. And finally, don’t forget the comfort foods – any of your favorite guilty-pleasure foods like chips, chocolate bars, cookies, cappuccino, etc. are all allowed. A disaster event is hard on the mental health and stability, as much as on your physical body as well. In this food group you can also add coffee and tea bags, if you can’t live without any of these drinks. There are a few more items you need to consider preparing. Gather all important documents like IDs and social security cards, passports, bank account contracts and other bank details in paper form, including stocks and bonds. Do the same for all other family members and order them accordingly. Each family member’s documents should be placed in its own plastic bag, so they don’t get mixed together. The plastic bags should have a zipper and be water-resistant. Gather all types of credit and debit cards, and all other payment cards. Among the documents you should prepare medical records and statements, including birth/marriage certificates. Make an inventory list of all the household items of value. Also, keep a small notebook with important phone numbers. Among the extra items keep a pair or two extra eye glasses, especially if some of your family members (or you) wear eye glasses and your vision is impaired. If you can’t see without eye glasses, you should always have an extra pair in your disaster kit. Another valuable item is a portable stove. In case your electricity or power supply is gone, you may have no other way of cooking or boiling water. This may be a huge problem since you will have no warm water (either for eating or for sanitation). If you have a baby, you will end up being extremely frustrated. A portable stove will help you with that. Most portable stoves use the power supply, but there are some (used by hikers and campers) that are gas powered. You need to be careful of course when using these stoves since they may cause fire if mishandled. If you use one, keep children away from it and always stay close to it (to observe if everything is ok). Strange or not, we advise you to prepare some games, books or other entertainment items. If you’re stuck at home for several consecutive days, it may get pretty boring if you have nothing to do. This is especially true for kids. All parents know how hard it is to keep a child occupied with something. Get some extra toys and games, which your children like. Don’t buy anything they never played with, as you don’t know if they will like it at all. Get them something familiar. If you have a baby, you have to prepare some special items for it. Some extra towels, pampers, blankets, dry milk and baby formulas, purees, additional sanitary items and lots of clean and warm clothes. This is valid for any other family member that may be disabled or has special needs. To avoid confusion prepare the items for them in special kits so they are separate and you know this person (or baby) will have plenty of the needed items and/or food. In these kits, prepare all special medication, drugs, and similar. And along with everything said above, a preparedness plan may be your key to survival. Sometimes people panic to such an extent that they endanger themselves and others. If all of your family members are well prepared, physically and mentally, none of you would let panic confuse them. After all, the problem with panic is that it impairs the person to think rationally and clearly. Everyone in your family should be involved in the preparation of a disaster plan. If your children participate as well, they will also be better prepared. They will know the details of the plan and it will be easier for them to apply it in action (when a disaster strikes). Make drills at home and see how everyone behaves. You need to discuss what everyone’s duties are and give instructions to everyone. Giving children some responsibilities will even make them more mature when they have to make some decision themselves. It’s not a good idea to just tell everyone what he or she should do without explaining why. You need to go into every detail and discuss it. Getting into the core of the plan and the actions gives a better perspective of the situation and all the steps – from preparing to drilling and to the actual disaster event. The preparedness plan should also include discussing how you’re going to communicate during the disaster. You or others may be blocked and your physical contact may be impaired. This is why it’s important to prepare a cell phone for each family member. You may also want to give everyone small emergency radios, in case someone gets lost. They should be able to know what the outside situation is and keep in touch with the outer world. There are two-way radios, which have walkie-talkie capabilities and can be used for both receiving and sending information. One great product to consider is Motorola DP4801 because it has a great range and group calling. We also have more models which are similar in features in our best survival two-way radios article. Preparing for a disaster may be an unpleasant activity (after all there’s nothing fun or nice about a disaster), but you may as well make the preparation process somewhat interesting. By involving everyone in the process, you not only make sure everyone is aware of the situation, but you also spend more time together as a family. You learn more about each other’s understanding of the situation and observe their specific behavior. You’re thus getting more tuned into each other and would be a much better team when dealing with a disaster event.